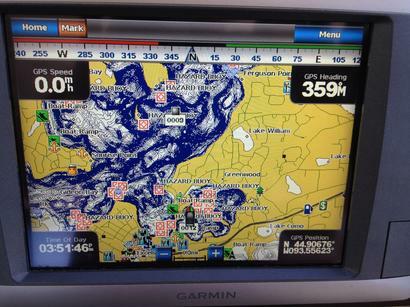 Click here to go to the GARMIN website and see their full line of marine products. 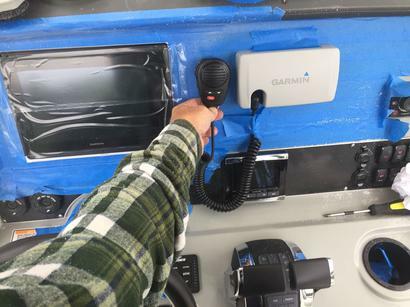 Maritronics is a Dealer for Garmin as well as an authorized marine installer. We will also handle warranty service and software upgrades. 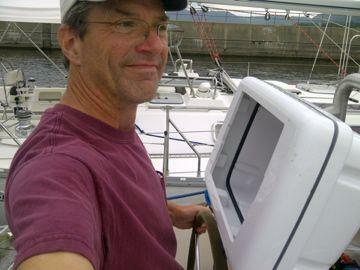 Dan preparing mount for Garmin MFD on sailboat. 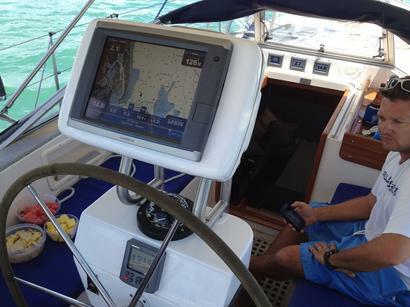 Example of the layout process and install on a dashboard. Blue tape protects the surface while drilling and cutting.